Chocolate Milk | Winners Drink Milk! Fall is here, and it’s time to kick the running up a notch—races are just around the corner! This time of year is great. The weather has finally cooled down enough that I don’t have to wake up at 5 a.m. to squeeze in a long run before it gets too hot. Speaking of long runs, endurance is key for ensuring top performance on race day. Make sure you fit plenty of longer runs into your schedule to balance the speed work. During my cross country days, our coach always made us do strides—short 100 meter sprints—after our training runs. I never understood why, but they really work. Strides help improve your kick at the end of the race. Let’s talk about the end of the race. No matter the distance, you will likely be tired. Just breathe, and remind yourself of all the hard work you’ve put into training for this race. Don’t slow down now! I always tell myself, “Just five more minutes—you can do ANYTHING for five minutes!” That usually makes it a little easier. After you cross the finish line, you’ll want to refuel your tired muscles. While there are always plenty of sports drink options at races, nothing beats chocolate milk. I started drinking chocolate milk after my long runs in high school. I think that was around the time that the first research came out about the benefits of chocolate milk as an effective recovery beverage after exercise. Before that, I used to grab one of the “traditional” sports drinks, but while it replenished lost fluid and electrolytes, it didn’t do much else. 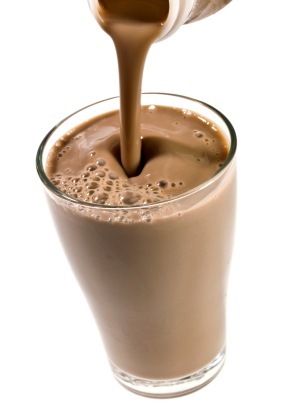 Chocolate milk has just the right combination of carbohydrates and protein to fuel your muscles and fill you up. Did I mention that milk is 87 percent water? That’s right, so it is an EXCELLENT way to rehydrate. The remaining 13 percent contains protein, carbohydrates and other essential nutrients to help refuel your body after a tough workout or race. It’s time to channel your excitement and put all that training to work as you race for a new personal record. I’m running a 5k tomorrow! I’m pretty excited. 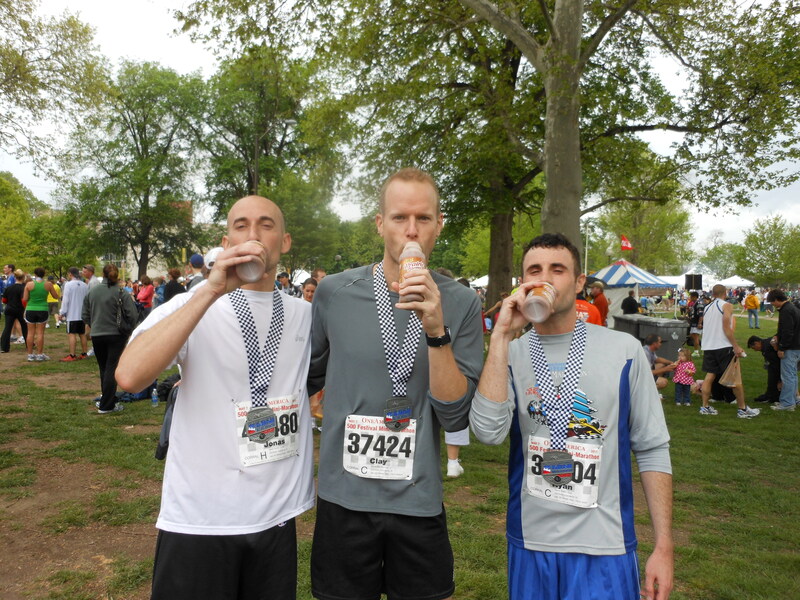 After I cross the finish line and catch my breath, it’s not Gatorade I’ll be reaching for—it’s chocolate milk. Here’s to another great racing season! One of the best post-exercise recovery drinks could already be in your refrigerator. The new research suggests that drinking fat free chocolate milk after exercise can help the body retain, replenish and rebuild muscle to help your body recover. Drinking lowfat chocolate milk after a strenuous workout could even help prep muscles to perform better in a subsequent bout of exercise. So you might ask why chocolate milk? Chocolate milk’s combination of carbohydrates and high-quality protein first made researchers take notice of a potential exercise benefit. The combination of carbs and protein already in chocolate milk matched the ratio found to be most beneficial for recovery. In fact, studies suggest that chocolate milk has the right mix of carbs and protein to help refuel exhausted muscles, and the protein in milk helps build lean muscle. This new research adds to a growing body of evidence suggesting milk can be just as effective as some commercial sports drinks in helping athletes refuel and recover. Chocolate milk has a lot of other benefits: It can be relatively inexpensive compared to recovery sports drinks, it’s easy to make at home or find at a convenience store after a run, and I think most people would agree that it tastes great! Dean’s Dairy will be at the finish line on November 6th handing out chocolate milk to finishing runners of the race. There will be THREE great races in downtown Indianapolis, the Indianapolis Monumental Marathon, Half Marathon and the brand new Monumental 5k distance. There are over 8,000 participants and start time is 8:00 a.m.
Halloween brings out the kid in all of us. It’s fun to get dressed up in a costume and parade around the neighborhood or go to a party. Treats are a part of the fun. However, treats don’t have to be sticky, gooey candy. The words “healthy” and “Halloween” don’t appear to fit together in the same sentence but can! If you are the type of mom who is concerned that Halloween isn’t the most nutritionally healthy night for your children, there are some steps you can take to help minimize the “candy craze”. 1. )Exercise During Halloween? Trick or Treating is exercise! 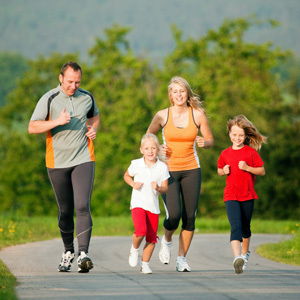 Make sure children get enough physical activity to burn off excess calories. 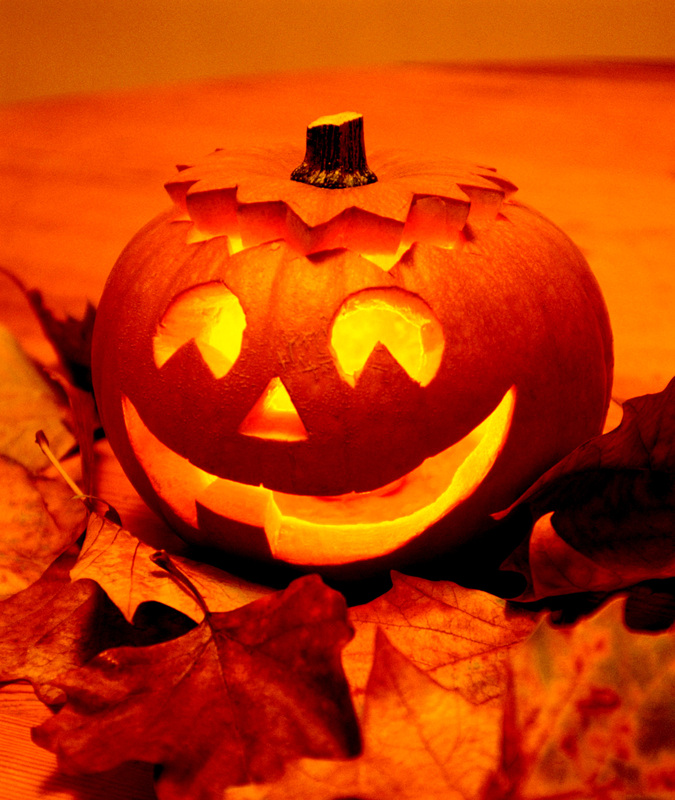 Trick-or-treating can be a fun way to incorporate walking. Plan a few extra loops around the neighborhood. This can tire out kids and prepare them to hit the sack when they get home. 2.)Boundaries. Set limits with your child on how many pieces of candy they’re allowed to eat on Halloween night. The ‘come home, dump out all the candy and have at it’ method is not the best. Allow your children to make their own selections, but tell them they can only pick a few pieces. Do South Bend School Meal Programs Make the Grade? 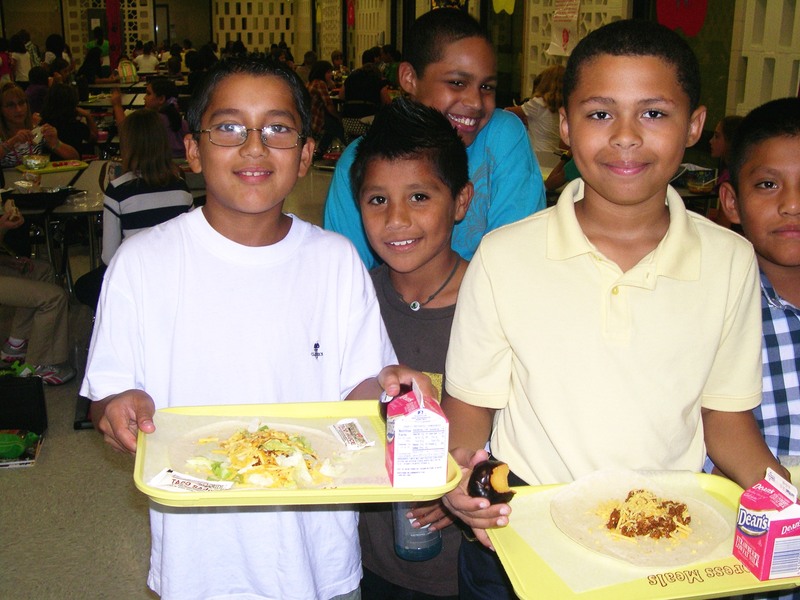 The National School Lunch Program provides meals for over 30 million children in the US every day. Everywhere you look, school meals have come under more scrutiny by the media, parents, students, and those concerned with the health of our youth. Recently, Newsweek issued a “Back to School” feature article highlighting school lunch deficiencies and improvements across the country, and just last week, the South Bend Tribune featured “Send the School Menu to Detention”, written by a seventh grader concerned with the fat content of meals at LaSalle Intermediate Academy in South Bend. Wanting to know more, I set out to interview some of the people involved in meal planning and preparation, as well as observe and experience, for myself, some of our local school meal offerings. I first stopped at Monroe Primary to observe their breakfast program and to tour the facility with Karen Case, Nutrition Facilitator for South Bend Community Schools. As I entered the cafeteria, the smell of citrus greeted us. Tables full of students and breakfast trays brimming with milk, oranges, cereal, and breakfast sandwiches filled the room. Moving along to the breakfast line, children began assembling their meal by choosing a carton of milk from boxes of low fat, fat-free, white and flavored milks. Reduced-sugar versions of kids’ favorite cereals, like “Frosted Flakes” and fiber-containing “Total Raisin Bran” were also available. Instead of cereal, students could choose a breakfast sandwich consisting of half of an English muffin topped with an egg, turkey Canadian bacon, and reduced fat cheese. Finally, breakfast-eers could choose a fruit in fresh form or as 4 oz. of calcium and vitamin D fortified 100% fruit juice. Behind the scenes in the kitchen, not a fryer was in sight! “Not a bad breakfast!” said my dietetics intern inner-voice. I then ventured on to LaSalle Intermediate Academy for lunch. First, I grab my fat-free milk. Hmm…today’s entrée choices? Filet of fish on a whole wheat bun (tartar sauce, optional) and beef tacos (Karen said that all beef is well drained of fat before it’s included in an entrée). Not being in the mood for either of those, I opted for a pre-made romaine-blend salad (offered daily) topped with chicken, shredded reduced-fat cheddar cheese, and reduced-fat Ranch dressing. Next, I grabbed an apple from the basket loaded with 4 different fresh fruits daily. Then, it was time to sit, eat, and mingle with Karen and the kids! 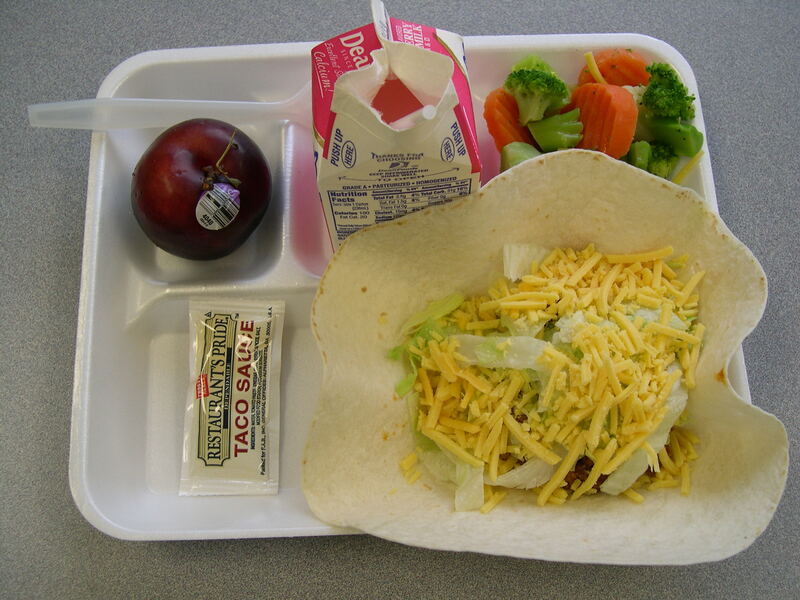 Periodically, school meals are analyzed by a state agency Registered Dietitian for adherence to the USDA’s strict nutrition standards for school meal programs. And how did South Bend’s program measure up? “We were a bit low on calories…our fat content was only slightly over the 30% fat requirement, but our saturated fat fell below the requirement, which is great!” said Karen. Among the school lunch program’s recent improvements, “We’re now offering more fresh fruit and vegetables instead of just canned, and we’re incorporating more whole grain breads.” Karen says she’s currently working with dairy processors to lower the sugar content in their flavored milks. “We’re always striving to improve the nutrition of our menu offerings,” she adds. Because caffeine is a diuretic, it can cause your body to become weak from not having enough water. Experts estimate that more than 90% of Americans consume caffeine every day, while 11 million Americans consume too much caffeine (over 300 milligrams). The U.S. Department of Agriculture (USDA) estimates that children and teens guzzle more than 64 gallons of caffeinated soda a year – an amount that has tripled for teens since 1978, doubled for the 6-11 age group and increased by a quarter for the under-5 tots. Some children also have access to energy drinks, powders and pills – all loaded with caffeine, and the result is a lot of kids addicted to caffeine, which can disturb the sleep cycle, shorten attention span and cause mood swings. 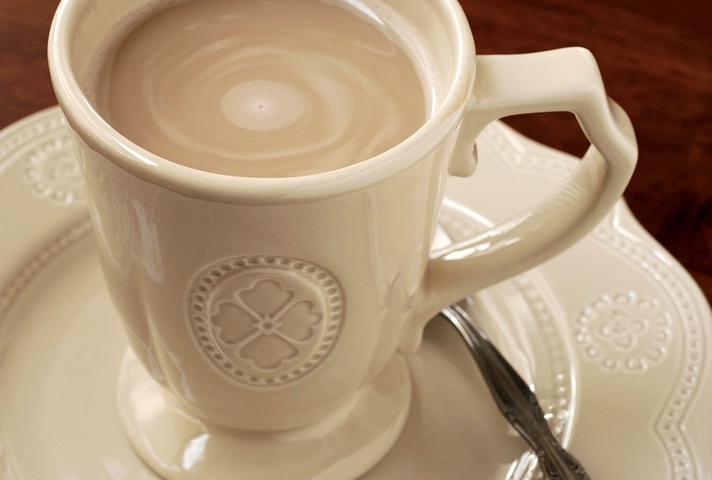 Mayo Clinic cites these additional side effects of caffeine: insomnia, heartburn, intestinal upsets, such as constipation and diarrhea, headaches, jitters, anxiety, heart palpitations or rapid heart rate, increase in blood pressure, and temporary depression. In case you weren’t aware: An 8-ounce cup of drip-brewed coffee typically contains 85 milligrams of caffeine , an 8-ounce serving of brewed tea has 40 milligrams, caffeinated soft drinks contain an average of 24 milligrams per 8-ounce serving and an 8 ounce serving of milk chocolate has just 6 milligrams. So, the next time you’re choosing a beverage for yourself or your kids keep these numbers in mind. In the future, try replacing caffeinated drinks with herbal tea, milk, water, 100% fruit juices or caffeine-free beverages. 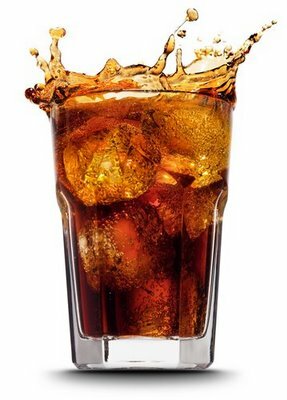 You may even consider caffeinated soda as an occasional treat for your teen and not as a regular part of the diet. Take a brisk, 10-minute walk. Eat regular, healthful meals. The Food Guide Pyramid can help build your meals. Don’t skip or delay meals. Avoid eating very large meals because digesting a large meal can make you tired. Today is National Swap Ideas Day. It used to be that idea swapping occurred between neighbors while visiting over the fence. Oftentimes, recipes were the ideas being swapped. However, today’s communication technologies make that quaint scene seem a little nostalgic, but it’s not completely gone. While I don’t even have a fence in my yard, I still get some good ideas from my neighbors, whether it’s about cooking or gardening or any other topic. To keep this from going all over the place, we’re going to narrow the topic of our “swaps” to how to get children to eat healthier foods and do more physical activity. September marks National Childhood Obesity Awareness Month; hopefully this holiday doesn’t become a permanent part of our calendars. First Lady Michelle Obama has taken this cause under her wing, and has brought many folks along with her. The National Dairy Council and the NFL’s collaborative school wellness program – Fuel Up to Play 60 – is one such player. Now back to swapping ideas! I’ll start things off with some of my ideas that I’ve acquired over the years. One thing about nutrition that I grew up with was always having milk with meals. There was no other option for my siblings and I – it was just a given. And it was great! Eating breakfast was also a must. Again, it wasn’t something to argue about, it was just known that every morning began with breakfast. One other blast from the past that can still be incorporated today goes back to treats. Many moons ago when my parents went out on a Saturday night and our babysitter was there, my sister and I got to share one bottle of Coke™. That was when it came it 16 oz. glass bottles, and boy, did it taste good! But half of that bottle was plenty, and knowing that there was no more when it was gone, made it even more special. How about serving fruit as dessert? I could go on and on, but let’s hear from you! What are your ideas for kids’ nutrition? We also need to talk about physical activity for all of us, but especially for kids. For a variety of reasons, kids don’t tend to have access to much physical activity at school on a daily basis. But, getting kids to be physically active for 60 minutes a day is one of the components of Fuel Up to Play 60. The “60” doesn’t have to be all at one time. Getting ten minutes here and fifteen minutes there (of physical activity) can really add up over the course of a day. Some easy ideas include taking the stairs instead of an elevator or escalator, riding a bike to a friend’s house instead of being driven, or even seeing how many sit-ups you can do during a TV commercial break. Now I know there are more creative minds out there – what are your ideas? You could win a prize!! So, share your ideas about how to get kids to eat healthier foods and do more physical activity by adding a comment to this post. Then, on Tuesday (9/14) we’ll have a drawing* and 10 lucky people will win a physical activity prize pack! *1 drawing entry per blog comment posted. My name is Anna Armstrong and I am working at the Dairy and Nutrition Council of Indiana for my first rotation as a dietetic intern from Purdue University. 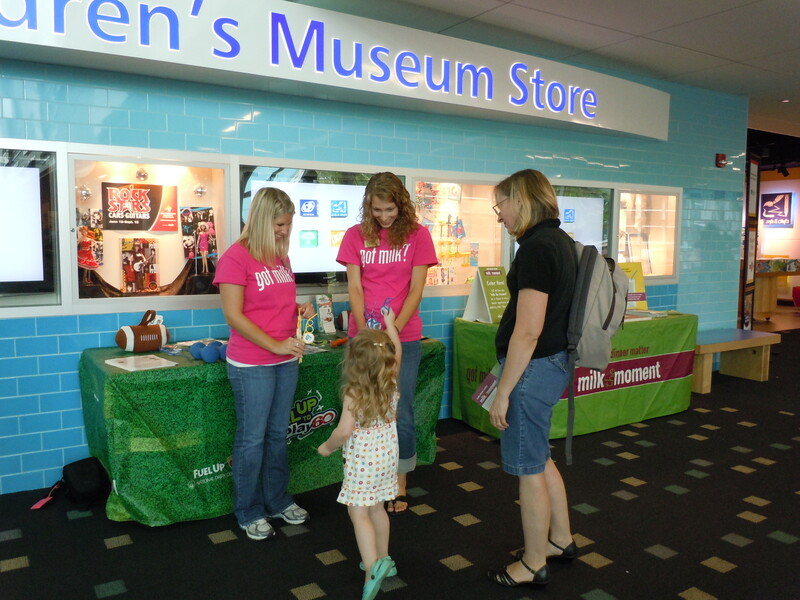 I have enjoyed my first couple of days helping out with the Milk the Moment and “got milk?” promotional programs at the Indianapolis Children’s Museum. It was so much fun wearing my new, pink “got milk?” shirt while passing out information about the importance of drinking milk. We talked with lots of parents and their children, who stopped by our table to win a football which promoted the “Fuel Up to Play 60” program, get their picture taken with a real milk mustache, and have a free sample of milk with a crazy straw. The kids loved getting free things and the parents loved the fact that we were encouraging kids to be active and drink milk! My favorite part was seeing how excited some of the kids got when we gave them a crazy straw to use when drinking their milk. Most of the children were young and not yet in school, but they all were excited for milk and their parents were eager for their kids to have milk as a snack. It was a great hook to help people remember to use their new straw to get their three servings of dairy each day. Some parents said their children didn’t like milk so we suggested that they work to include other dairy sources in their diet each day. For example, including yogurt, string cheese, or even ice cream on occasion are all excellent ways to get three of dairy every day. I enjoyed being part of an event promoting health in a way that was fun and reminded both parents and kids how important it is to build strong bones and muscles over a lifetime. Overall, I would say that the people we talked with were excited to have us there and learn more about milk, plus get delicious free samples. Getting three servings of dairy each day provides both youth and adults with nine essential nutrients, including calcium and vitamin D, to lead a healthy lifestyle. So, remember to get your three of dairy today!